SPSS can save or export data in many formats and in various ways. These instructions will assist you in exporting or printing your data output to PDF. 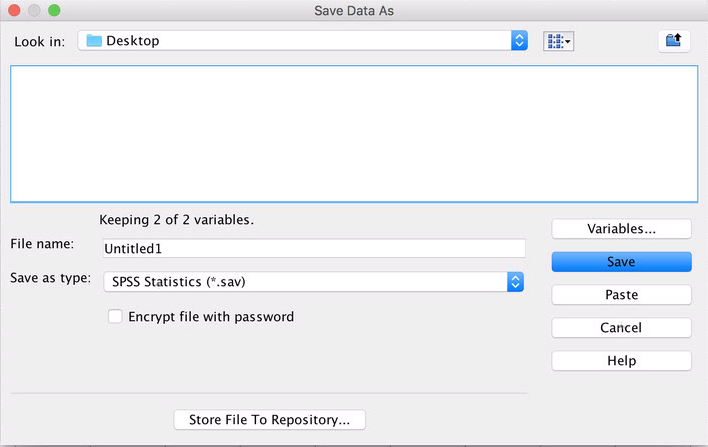 With SPSS for MacOS, you can't simply export your raw data to PDF but you can save any output to PDF. If you want to export your raw data we recommend exporting it to Excel where you can later print to PDF or manipulate it further. 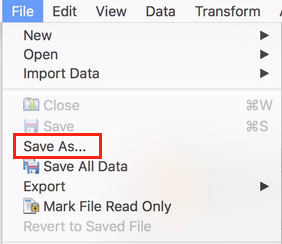 To be able to export your results to PDF you must first save your data in order to have it accessible in the SPSS Viewer. Enter the details such as file name and save location and click Save. A new Viewer window will open once the document is saved. This viewer window will contain any and all outputs that you create including graphs and charts. 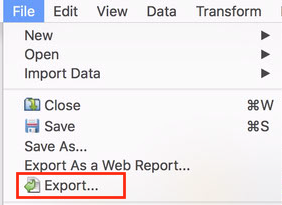 On the Export pane, change the type in Data Type drop-down menu to Portable Document Format (.PDF), provide a file name for the export and a location and click OK. Check out this knowledge base article I found in the Bowdoin College knowledge base. https://bowdoin.teamdynamix.com/TDClient/KB/ArticleDet?ID=25575 How to save SPSS Data to PDF SPSS can save or export data in many formats and in various ways. 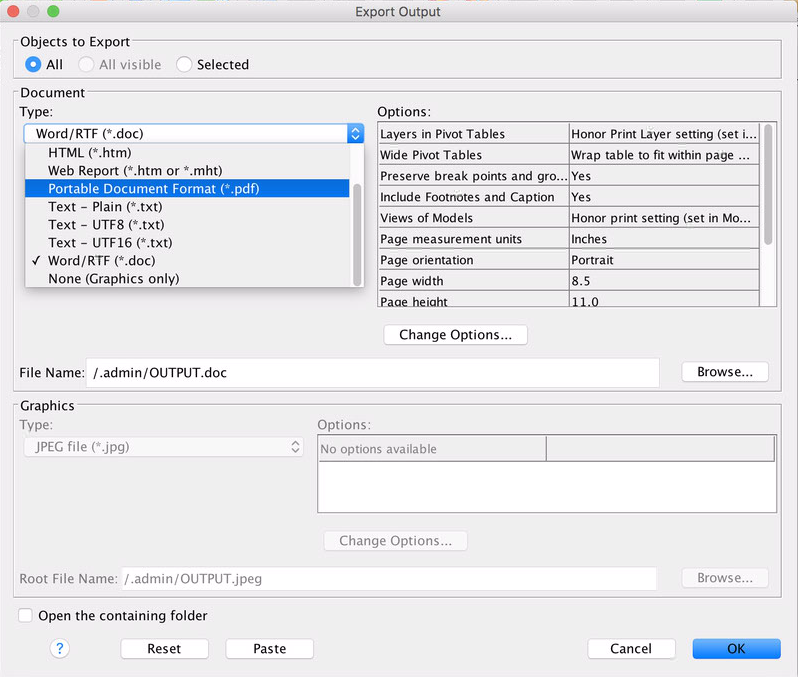 These instructions will assist you in exporting or printing your data output to PDF.